Pregnancy is an exciting time for many women, but pregnancy can bring with it many health concerns, including dental diseases. Following a careful health regimen can help you better adapt to both your body and your baby’s needs. While a biannual dental checkup may have been sufficient to maintain good dental health before your pregnancy, it may not be enough now that you are pregnant. Pregnant women are more prone to periodontal disease, which may require periodontal surgery in severe cases. Thorough brushing and flossing are essential to maintaining tooth and gum health before, during and after pregnancy. The increased hormone levels in your body may make your gums more sensitive to oral bacteria. If you notice any bleeding, pain or swelling in your gums, contact our dentist to schedule a checkup. Gum disease during pregnancy has been associated with miscarriage, preterm birth and low birth weight babies. Thanks to morning sickness, pregnant women may also be more prone to tooth decay. Stomach acids that wash over the teeth weaken the enamel. Many women brush their teeth after vomiting, but this can further damage the teeth. Instead of brushing after sickness, rinse your mouth well with water. 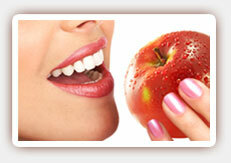 One final way to ensure optimal dental health during your pregnancy is to maintain a healthy diet. You are likely already eating carefully, but try to enjoy plenty of calcium-rich foods as well as foods that are good sources of vitamins B12 and C and avoid excessive snacking whenever possible. 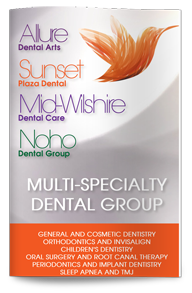 Call us today to learn more or to schedule your consultation with our West Hollywood dentist, Poneh Ghasri DDS.